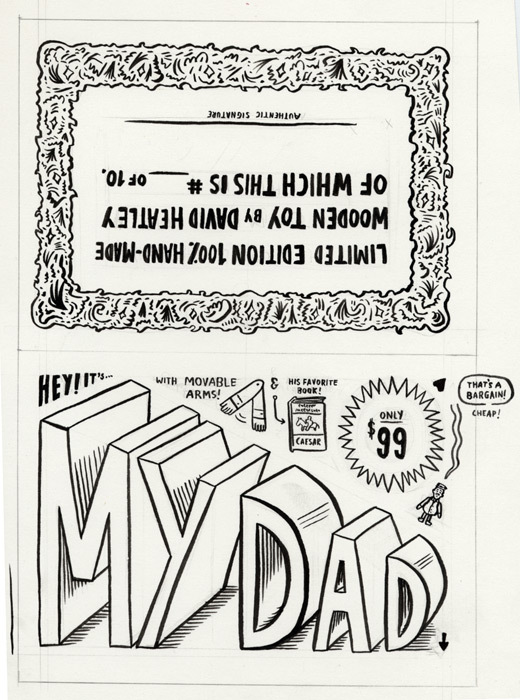 Art for card label on "My Dad" toy, also available on this site. Ink and graphite on bristol. Approx 7.5" x 10"